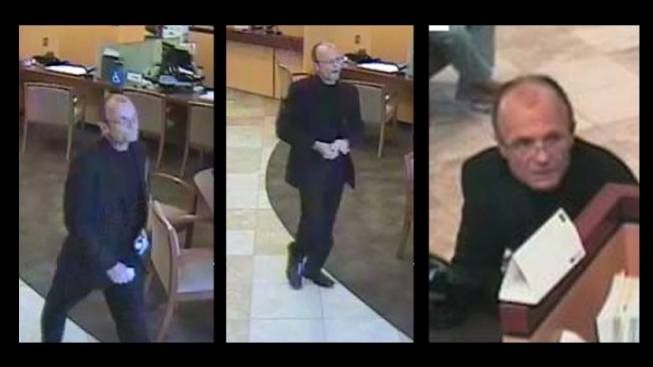 Photos from a surveillance video shows the suspect in a Mira Mesa bank robbery on Jan.13. A well-dressed bandit made off will an undisclosed amount of cash after a heist at a Mira Mesa bank on Friday afternoon, according to San Diego police and officials with the Federal Bureau of Investigation. The suspect isn't to be confused with another "well-dressed" bandit who was recently arrested after possibly robbing more than 10 banks since May of 2010. The suspect in Friday's crime entered the Wells Fargo bank at 10707 Camino Ruiz at about 4:15 p.m. and demanded cash from a teller, said SDPD Officer David Stafford. Surveillance video purports to show the suspect who committed the crime dressed in a black shirt and a blue blazer with black pants. 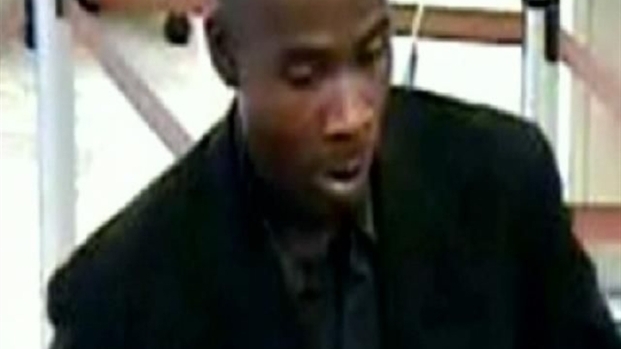 New information tonight about the capture of a notorious serial bank robber in San Diego. After more than a year of robbing banks all over the county, the man, dubbed the "well dressed bandit" is finally in custody. Tony Shin reports. Once the teller handed the suspect some cash, he fled the bank on foot, Stafford said. No weapons or injuries were reported. The suspect is said to be a bearded man in his 50s who wears glasses, stands 5 feet 8 inches tall and weighs about 160 pounds. Anyone with information about the crime was asked to call the FBI at (858) 565-1255.